I ask all my clients to tell it like it is! This means that the best celebrant reviews are real testimonials and recommendations. Here are just some of the many, best celebrant reviews and real testimonials from happy clients who recommend me. These are the actual words of my clients, and I love every one of them! Happy, smiling faces all round tell the true story. They are simply the best celebrant reviews and recommendations that any Celebrant can have! Contact Glenda, your highly recommended Celebrant! We enjoyed that it was relaxed and easy! Fun and light. No stress. Personalised to us. We will always remember the lovely words and the candles blowing out in the wind. Glenda is understanding to individual needs. Fun and a good sense of humour so the wedding is not dry and boring. J and L, Wedding. We particularly enjoyed the sincerity and humour! We will always remember how lovely and appropriate and meaningful the vows were. Glenda is caring to your needs and her humour is relaxing and fills you with confidence. Your day will be perfect (which it was!) G and M, Wedding. We all enjoyed every bit of the ceremony! We will remember everything as it was beautiful. Glenda is a beautiful woman who made our wedding perfect. Glenda is sweet and kind and I’m so glad I found her. D and D, Wedding. Glenda helped us put together a special and individualised service. We would highly recommend Glenda to anyone! R and N, Wedding. Glenda went above and beyond for us! Glenda made us all feel relaxed. We will always remember the ease in which the ceremony was performed. Glenda’s sense of humour in a trying time. Book her! You will not be disappointed! P and E, Wedding. Glenda is professional and friendly! The small, informal gathering for our ceremony created the intimate atmosphere we wanted. Thank you Glenda! G and G, Wedding. We have received good feedback from our guests regarding how much they enjoyed the ceremony and the lunch reception at Shangri La. R and J, Wedding. We enjoyed that Glenda kept it simple and fun. Just like we had asked. It was an amazing afternoon. S and J, Wedding. We were very lucky to find Glenda! We were fortunate to have Glenda assist us over a 2 year period prior to our wedding, with laws and regulations in visa matters. Alhough we were not up to date with requirements Glenda attended to everything very professionally, we were very lucky to find Glenda. N and O, Wedding. She was professional, friendly and organised. From the start Glenda was approachable and helpful and our day would not have been as memorable or run as smoothly without her. She helped us put together a beautiful, honest and authentic wedding which was perfect for both of us. T and N, Wedding. Thank you for the magnificent manner in which you conducted our Mother’s service. It was only your professionalism that ensured that our Mother’s funeral service was as memorable as we had envisaged. Our thanks again for your direction before and on the day of the funeral. K, Celebration of Life. It was simple but still had a special touch to it. 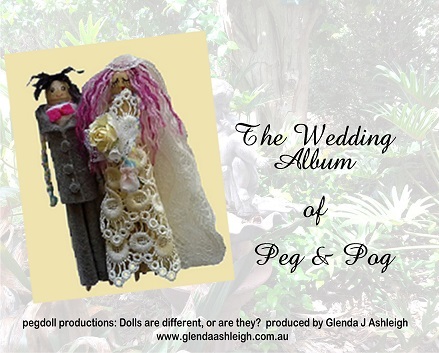 Glenda is an amazing Celebrant who went and did over the top to help us make sure everything went smoothly. simply amazing and we are so happy we found her. Thank you!! T and Y, Wedding. The way Glenda really listened and put into practice our wishes was fantastic. Everyone was included and made to feel comfortable. All participants in the ceremony were well informed of their roles and responsibilities and Glenda was fantastic at ‘going with the flow’ and producing the relaxed, happy atmosphere we desired. J and C, Wedding. Glenda was very organised and very well prepared at each meeting and especially on the day, always graciously pointing us in the right direction with the right suggestions because of her experience. Her professionalism and friendliness made the day go very smoothly and was one less thing to worry about as we had full trust in her ability to lead the ceremony. Thank you again Glenda. G and F, Wedding. Our ceremony was everything we wanted. Glenda took the time to get to know us and this showed on our day. Thank you Glenda. G and A, Wedding. The high level of organisation and straight forward directions made a ceremony that flowed and proceeded as planned. The Celebrant’s intelligent banter, jokes and lovely words ensured happy (and relaxed as can be) Bride and Groom allowing them to enjoy the day with few worries. N and A, Wedding. but remained very professional throughout the entire ceremony. I would strongly recommend Glenda for any weddings, thanks. J and L, Wedding. and she was very professional in her approach. Loved that you, Glenda, organised us for photos, your experience was much appreciated! S and J, Wedding. could I do a similar service for them using Glenda and the venue. Everyone thought it was suited to my Mum perfectly. G, Celebration of Life. Glenda was very approachable and seemed to know just what we wanted! Glenda is very professional and able to put everyone at ease. We had a lovely day and nothing was too much for Glenda. We would happily recommend Glenda. K and C, Wedding. We are so satisfied about the ceremony! Thanks Glenda for everything you did for us. You’re the best and professional marriage celebrant. All the best!! M and C, Wedding. The wedding ceremony was easy going, personal and enjoyable! Thank you for helping us make it happen Glenda! A and H, Wedding. Having the wedding theme as TRANSPORT and seeing all the guests and Glenda in TRANSPORT outfits was great! P and Y, Wedding. The wedding ceremony had a relaxed feeling, everything went smoothly! We can rely on you Glenda! You know what you are doing. Thank you for your excellent service!! S and D, Wedding. Both ourselves and our guests enjoyed the casual and relaxed atmosphere of our wedding ceremony! 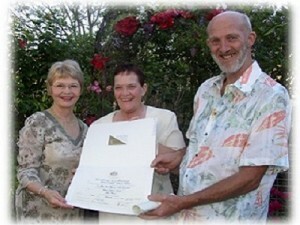 Glenda fitted in wonderfully and conducted the ceremony in such a way that was thoroughly enjoyable to all present. N, (the Groom) describes the ceremony and the day as ‘the best day of his life!’) S and N, Wedding. Glenda provided an extremely personal yet professional marriage celebrant service! She not only went to great lengths to offer much support by way of advice and suggestions pertaining to the wedding, but also offered guidance through the emotions associated with the actual commitment. Glenda made great efforts in communicating and involving all those attending the ceremony and the little touches such as gifts and personalised vow booklets were beautiful and much appreciated. H and A, Wedding.